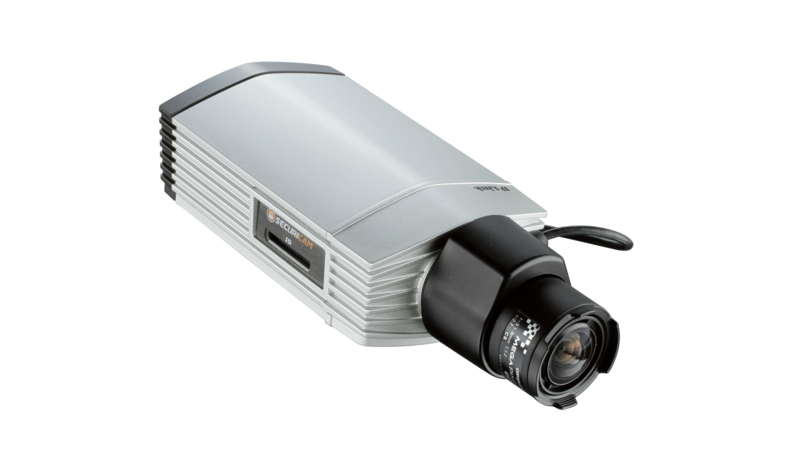 The D-Link DCS-3716 is a HD Day & Night Network Camera, equipped with a 1/2.8" 3 Megapixel WDR Progressive Scan CMOS sensor and a 3.1-8mm auto iris lens. The camera can capture Full HD video at resolutions of up to 1920 x 1080 (maximum 2048 x 1536) at frame rates up to 30 fps. Snapshots and video can be saved to a network drive, or to onboard storage through the built-in SD Card slot. The D-Link DCS-3716 is a high-end HD Day & Night Network Camera, equipped with a 1/2.8" 3 Megapixel WDR Progressive Scan CMOS sensor and a 3.1-8mm auto iris lens. The camera can capture Full HD video at resolutions of up to 1920 x 1080 (maximum 2048 x 1536) at frame rates up to 30 fps. Snapshots and video can be saved to a network drive, or to onboard storage through the built-in SD Card slot. The Wide Dynamic Range (WDR) function provides properly exposed video even under backlit conditions where the intensity of illumination can vary significantly, making the DCS-3716 ideal for high-contrast environments such as such as lobbies, entryways and shipping docks. The DCS-3716 supports simultaneous streaming of H.264, MPEG-4, and MJPEG video to provide both high-quality and bandwidth-efficient compression formats. Each streaming profile can be independently configured with its own resolution, frame rate and compression type. The DCS-3716 also supports full-time analog video out, useful for aiming & focusing the camera or for use with an existing public view monitor. 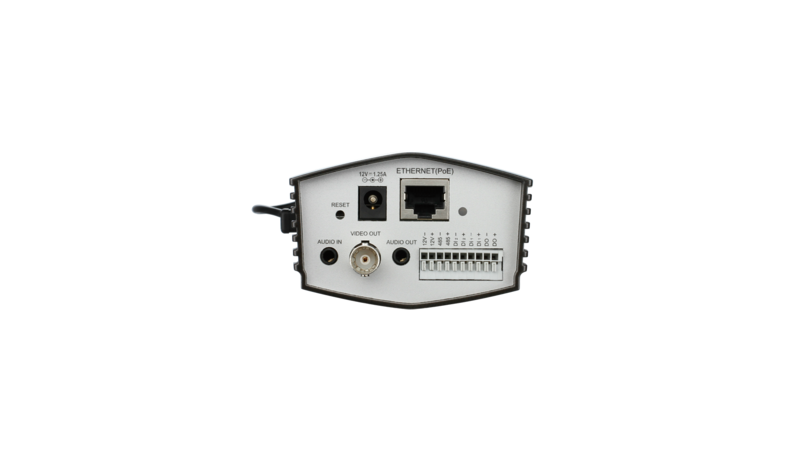 The DCS-3716 incorporates Power over Ethernet (PoE), which allows it to be easily installed in a variety of locations, even when no power outlet is nearby. The DCS-3716 also includes input and output ports that allow connectivity to external devices such as IR sensors, switches, and alarm relays. An RS-485 interface provides connectivity to an optional pan/tilt enclosure which effectively adds pan/tilt functionality to the DCS-3716. The included D-ViewCam™ IP camera surveillance software is a comprehensive surveillance system designed to centrally manage multiple IP cameras. Supporting up to 32 IP cameras, D-ViewCam™ is compatible with all current D-Link IP cameras and offers digital monitoring and recording capabilities of video, audio, and events for various security applications. The D-ViewCam™ software is included free of charge with the DCS-3716. This network camera supports the Universal Plug-n-Play feature, which allows computers running on Windows XP/Vista/7 to automatically recognize the camera and add it to the network. ONVIF is an open industry forum for the development of a global standard for the interface of IP-based physical security products. ONVIF identifies a standard for how IP products within video surveillance and other physical security areas can communicate with each other ensuring interoperability between products regardless of brand. 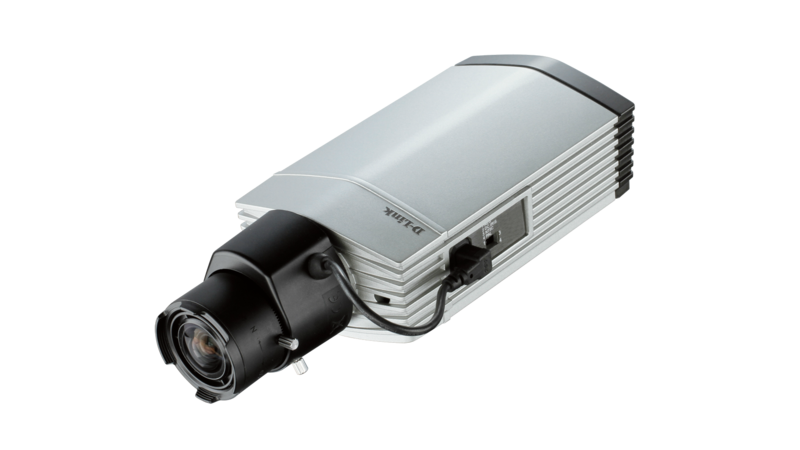 The DCS-3716 is ONVIF-compliant and therefore compatible with many third party Video Management Software (VMS) solutions. For more information on ONVIF and compatible D-Link network cameras, please click here. Actual product appearance may differ from the image displayed on this page.